Thousands of visitors flock to the Exuma Cays to visit the Swimming Pigs of Big Major Spot. This attraction has been featured on the Today Show, The Bachelor, and more. Books have been written about them, and even a movie has been produced to tell the story of how the swimming pigs came to be on the island just off of Staniel Cay. 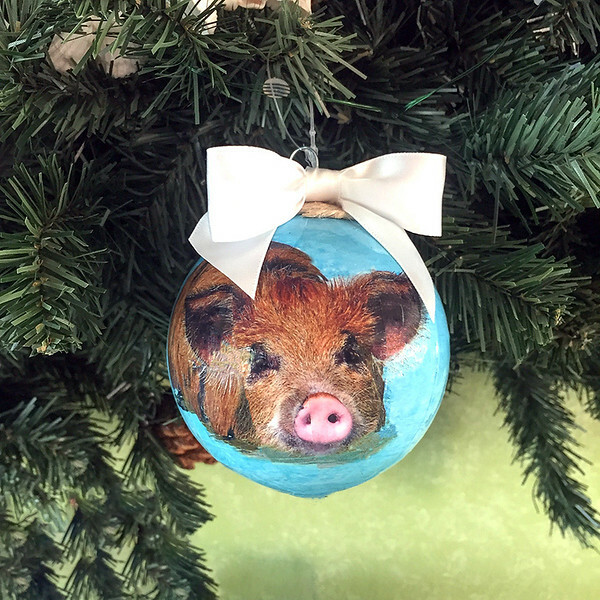 Bring your memories of your visit to Exuma back to life by placing this ornament on your tree every year. It makes a wonderful gift!